Floyd Mayweather-Manny Pacquiao tickets sold out in less than a minute on Thursday afternoon. Tickets for welterweight world unification bout between Floyd Mayweather and Manny Pacquiao went on sale at 3 p.m. ET on Thursday and sold out in less than a minute. 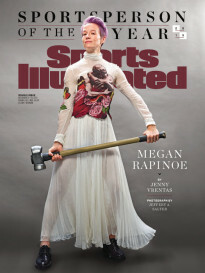 The starting retail price for the fight is $1,500, but only a limited amount were sold at that price. Promoters have said that most of the 16,800 seats at the MGM Grand Garden Arena in Las Vegas will cost spectators between $1,500 and $7,500 per ticket. Television viewers can purchase the fight via pay-per-view at a cost of $99. MGM also will sell thousands of closed circuit seats at its different venues in Las Vegas for $150 apiece. The bout is expected to be the richest in boxing history, and both fighters are expected to make well over $100 million, with 60% of the purse going to Mayweather and Pacquiao taking home the other 40%. The May 2 fight was made official on Wednesday after officials from Top Rank Boxing, Mayweather Promotions and the MGM Grand came to an agreement, which solved issues such as a dispute over millions of dollars in tickets. 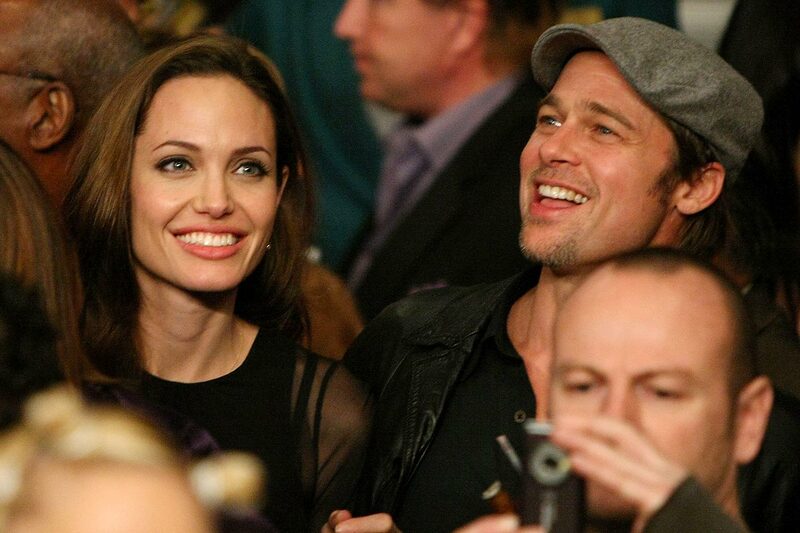 Angelina Jolie and Brad Pitt at Manny Pacquiao vs. Ricky Hatton. Grammy winner Mariah Carey and husband Nick Cannon watched the Floyd Mayweather Jr.-Shane Mosley fight. 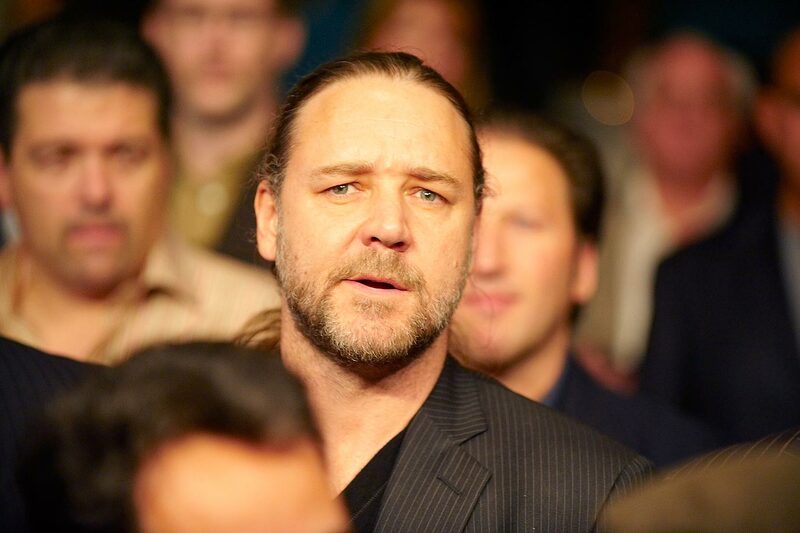 Russell Crowe watching Manny Pacquiao vs Oscar De La Hoya. 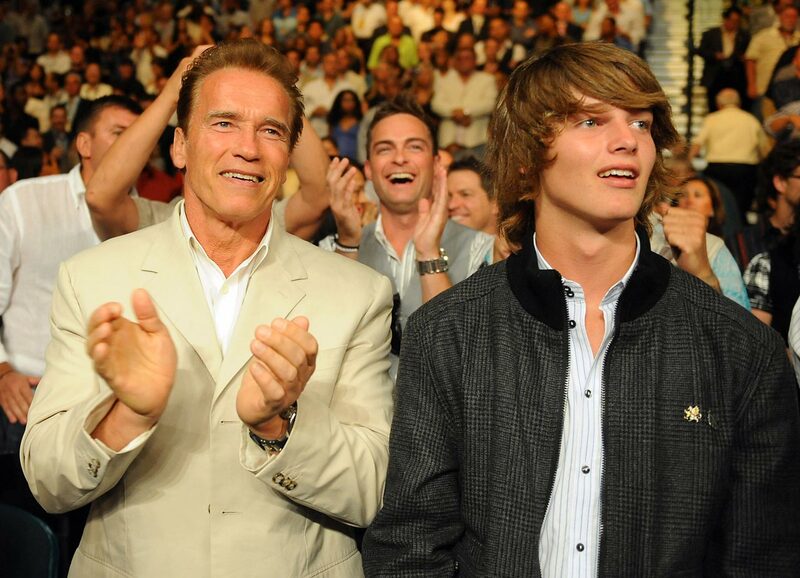 The then-California governor and his son Patrick at Floyd Mayweather's win over Juan Manuel Marquez. David Bechkam watches Manny Pacquiao fight Brandon Rios during the 'Clash in Cotai' WBO International Welterweight title bout. 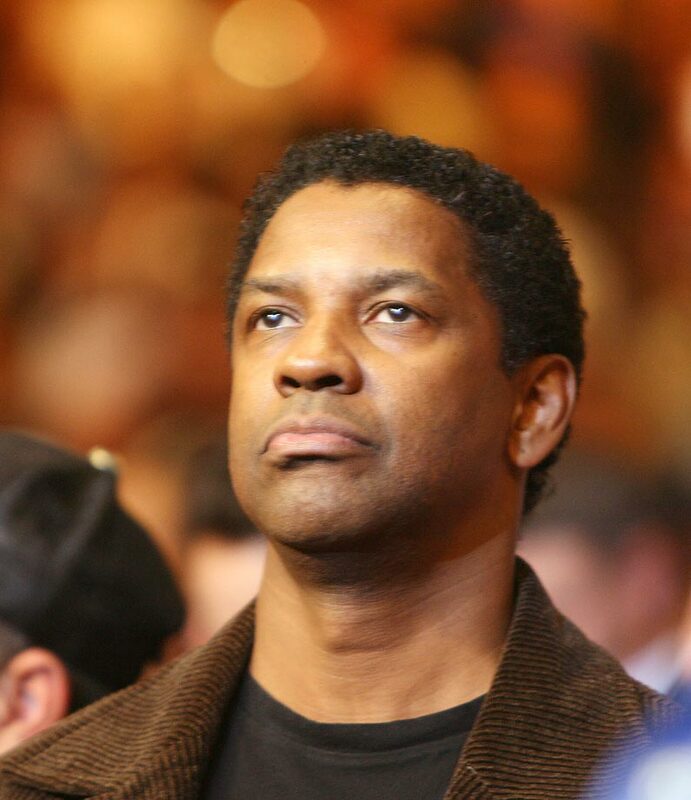 Actor Denzel Washington was in attendance at Floyd Mayweather Jr.'s 2007 knockout win over Britain's Ricky Hatton. Eva Longoria-Parker attends the Floyd Mayweather--Shane Mosley welterweight fight. 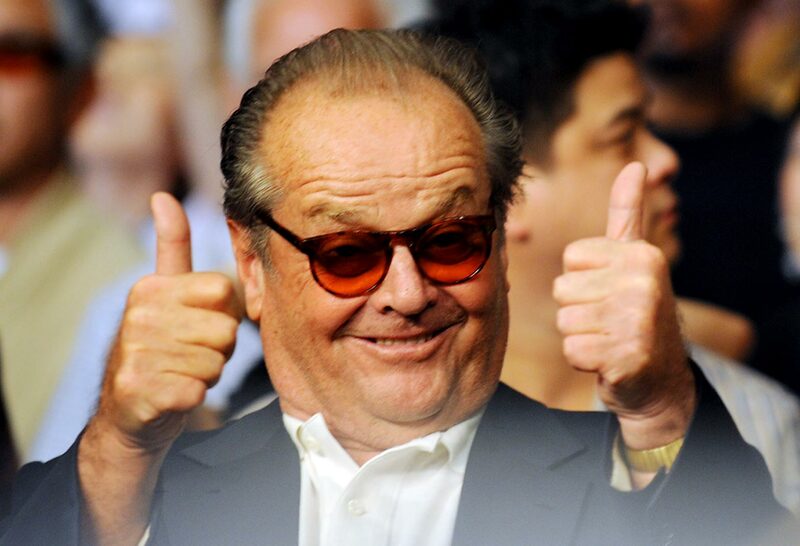 Actor Jack Nicholson watched as Manny Pacquiao stopped Ricky Hatton. Heidi Klum attends the Floyd Mayweather-Canelo Alvarez bout. 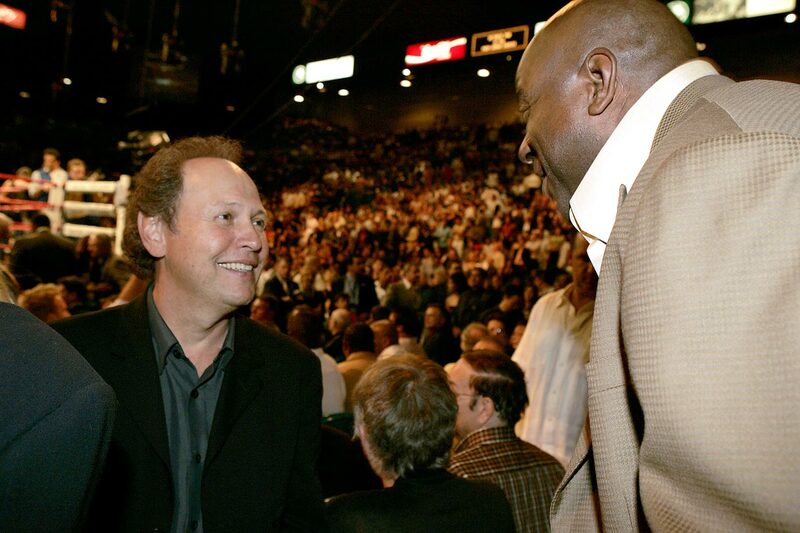 Billy Crystal at Oscar de la Hoya vs Bernard Hopkins. 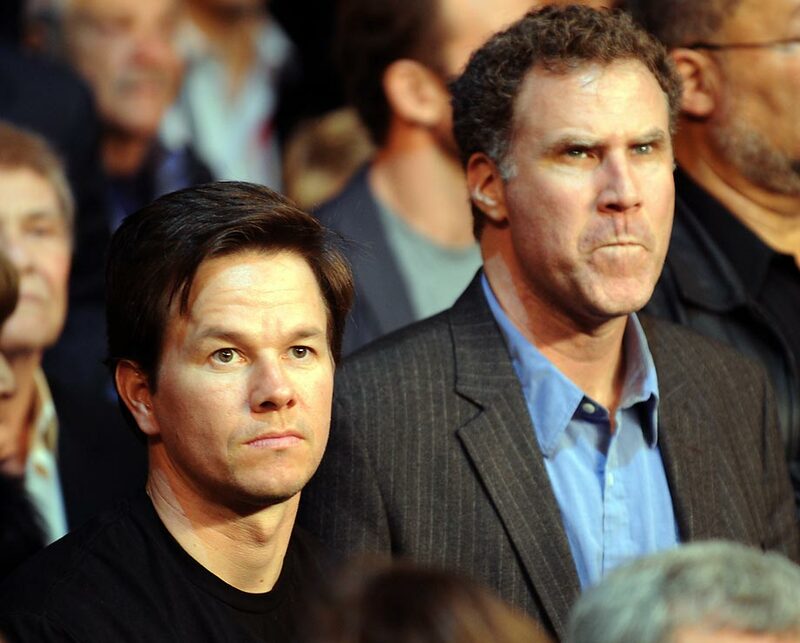 Mark Wahlberg and Will Ferrell attend Manny Pacquiao vs Miguel Cotto. 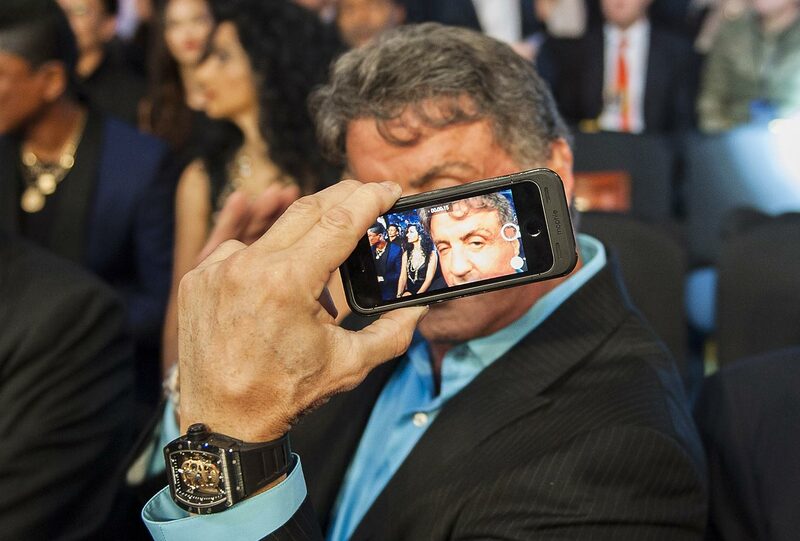 Sylvester Stallone shows a "selfie" he took ringside prior to the match between Jessie Vargas and Antonio DeMarco. Jim Carrey and Jenny McCarthy attend the Oscar De La Hoya and Floyd Mayweather fight. Jake Gyllenhaal and Rihanna attend Roc Nation Sports Presents: throne boxing at The Theater at Madison Square Garden. 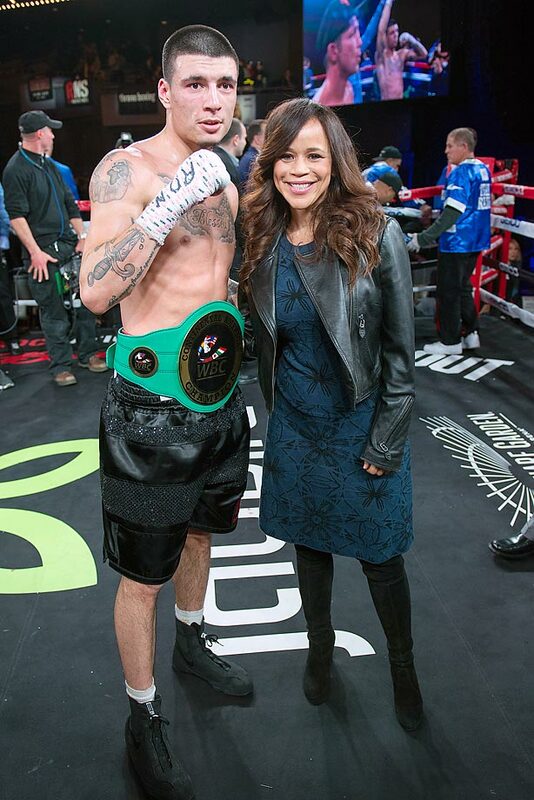 Boxer Dusty Hernandez-Harrison and actress Rosie Perez at the 2015 Throne Boxing at The Theater at Madison Square Garden. 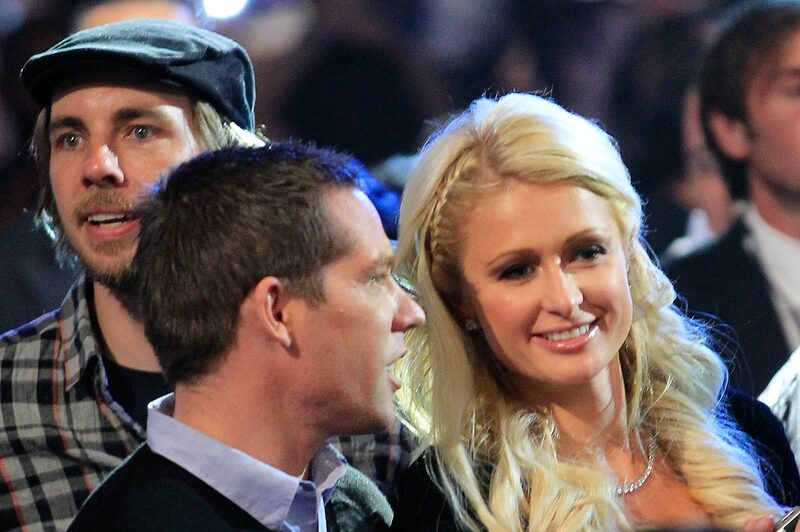 Gwen Stefani looks on before the fight between Ricky Hatton and Floyd Mayweather Jr.
Paris Hilton, Cy Waits and actor Dax Shepard attend the Manny Pacquiao and Shane Mosley fight. 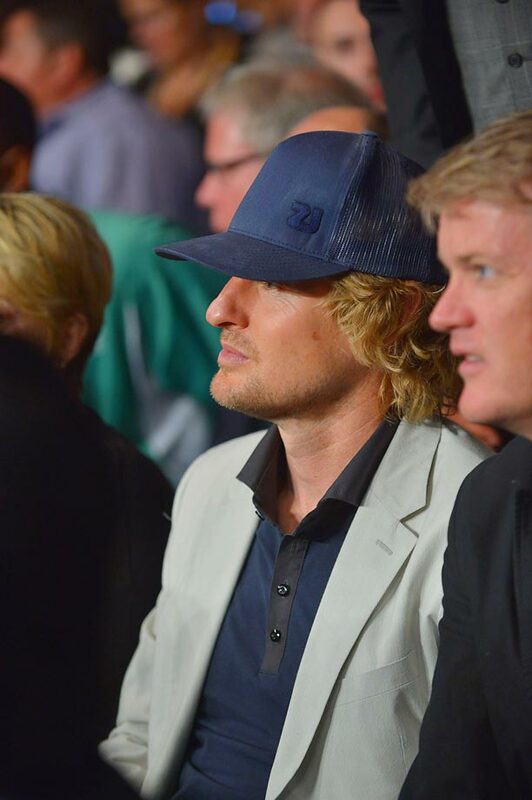 Owen Wilson at Floyd Mayweather Jr. vs. Canelo Alvarez. Nicole Kidman before the start of the Bernard Hopkins-Oscar De La Hoya unified middleweight title fight. 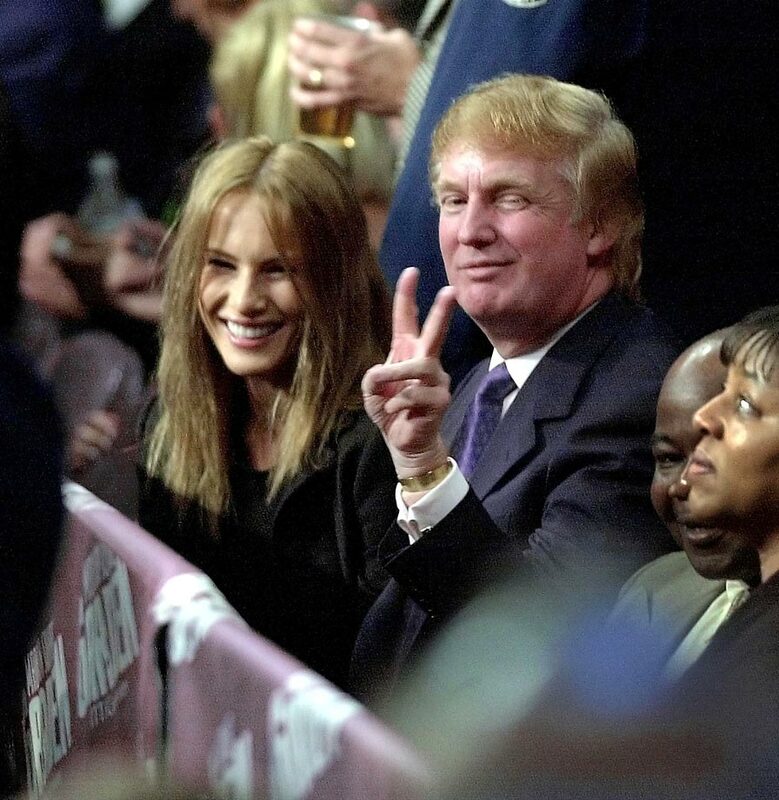 Donald Trump flashes a peace sign before the Lennox Lewis-Michael Grant fight. 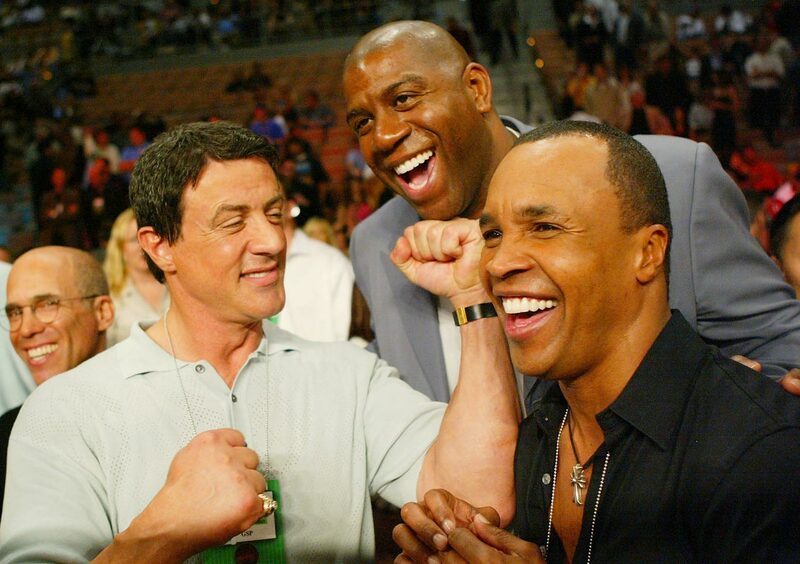 Sylvester Stallone, Magic Johnson, and Sugar Ray Leonard play around before Shane Mosley takes on Winky Wright. Meg Ryan and comedian Tracey Ullman say hello to fans before the Lennox Lewis-Hasim Rahman bout. 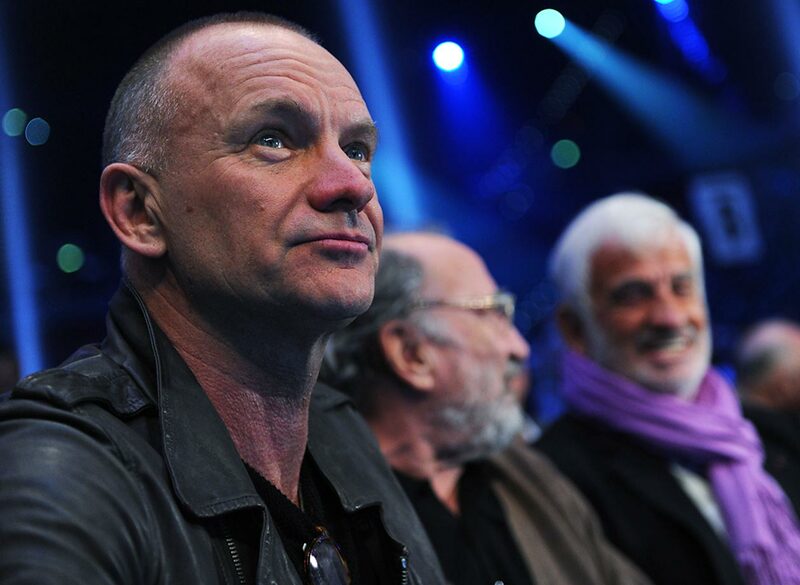 Sting and French actors Jean-Paulk Belmondo and Jean Reno at the bout between Wladimir Klitschko and French challenger Jean-Marc Mormeck. 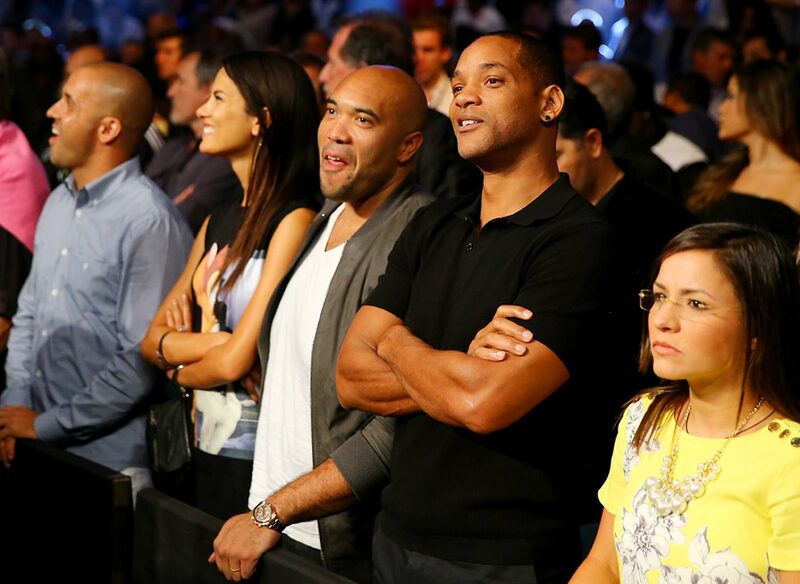 Will Smith watches the Leo Santa Cruz vs Manuel Roman match. 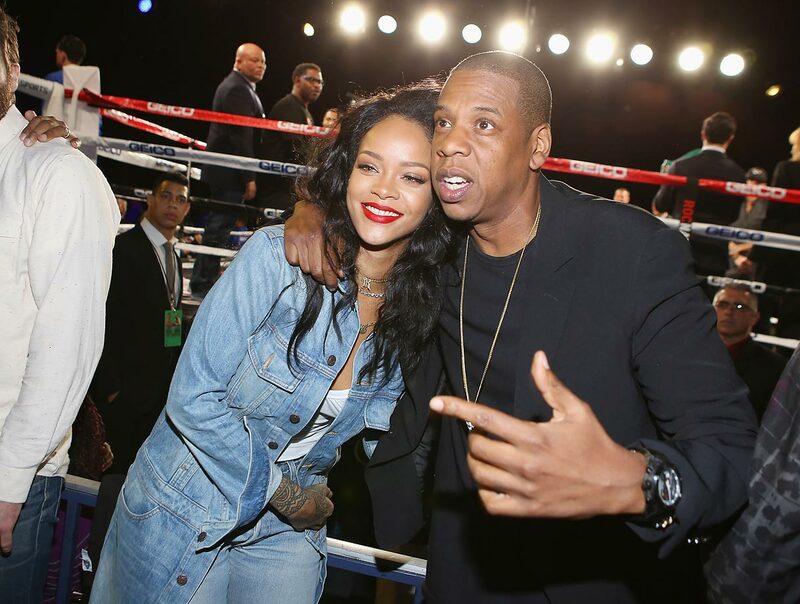 Rihanna and Jay Z attend the 2015 Throne Boxing Fight Night. 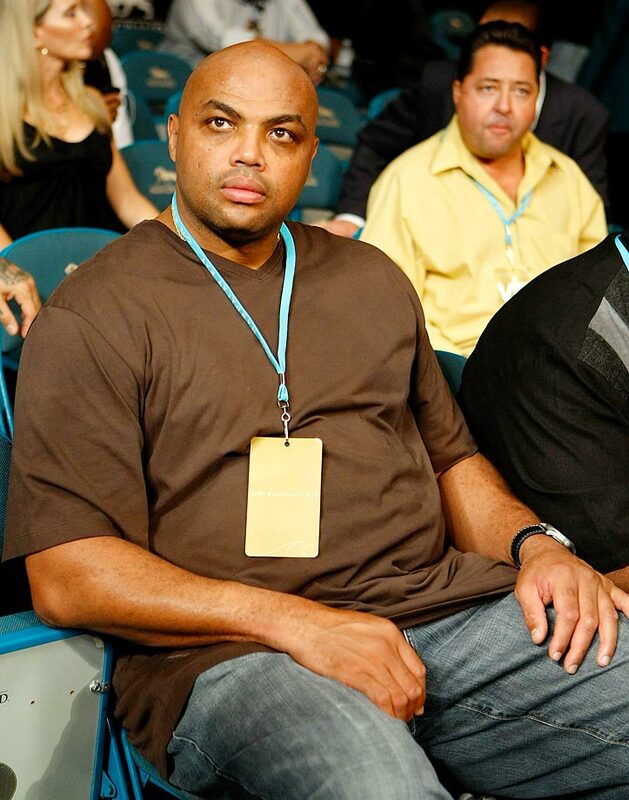 NBA analyst and former player Charles Barkley at the Floyd Mayweather Jr. vs. Juan Manuel Marquez event. 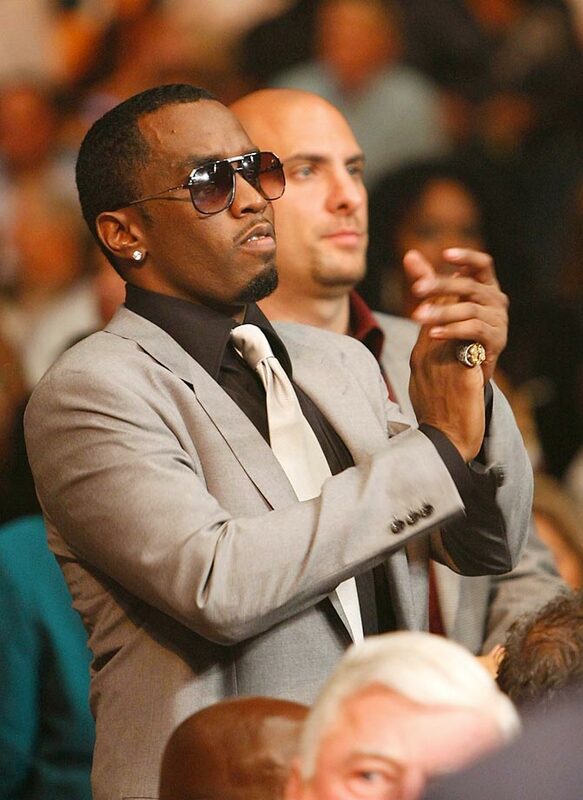 Sean "Diddy" Combs at Floyd Mayweather vs. Juan Manuel Marquez. 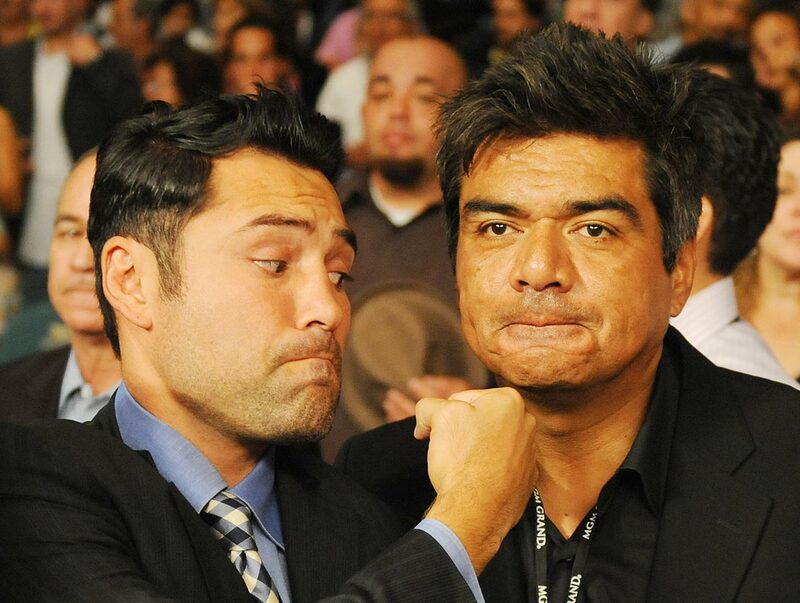 Oscar De La Hoya and comedian George Lopez joke around as Floyd Mayweather prepared to take the ring against Juan Manuel Marquez. Mario Lopez and Courtney Mazza attend the 3rd Annual Sugar Ray Leonard Big Fighter, Big Cause Charity Boxing Night. Actor/comedian D.L. 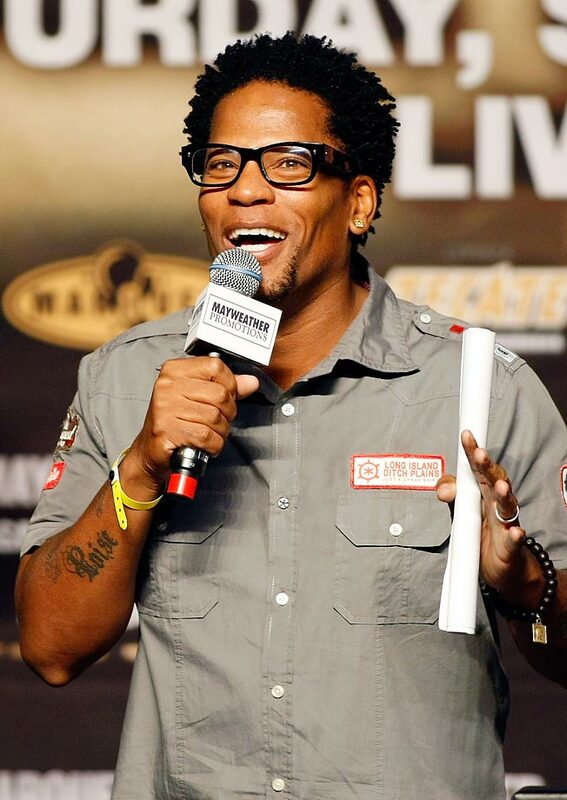 Hughley spoke at the weigh-in for boxers Floyd Mayweather and Juan Manuel Marquez. 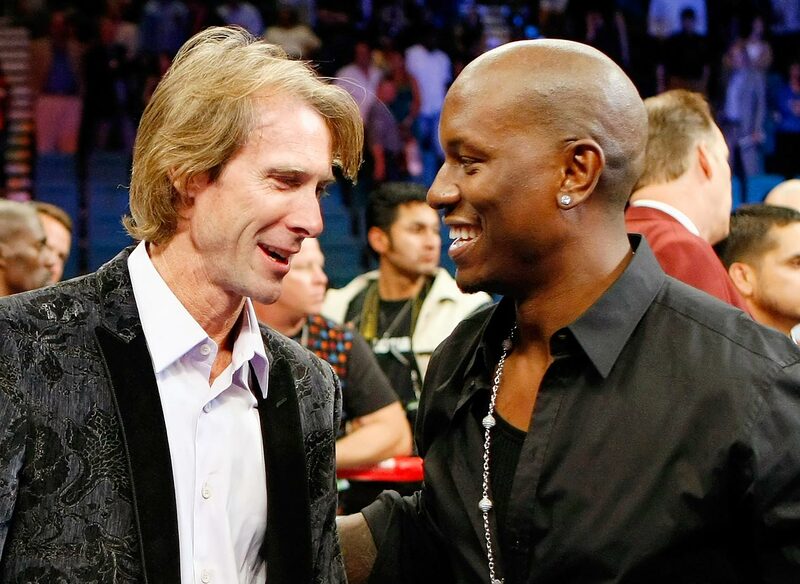 Director Michael Bay and Tyrese Gibson talk after Floyd Mayweather Jr. defeated Juan Manuel Marquez. Model Selita Ebanks shows her boxing love in New York. 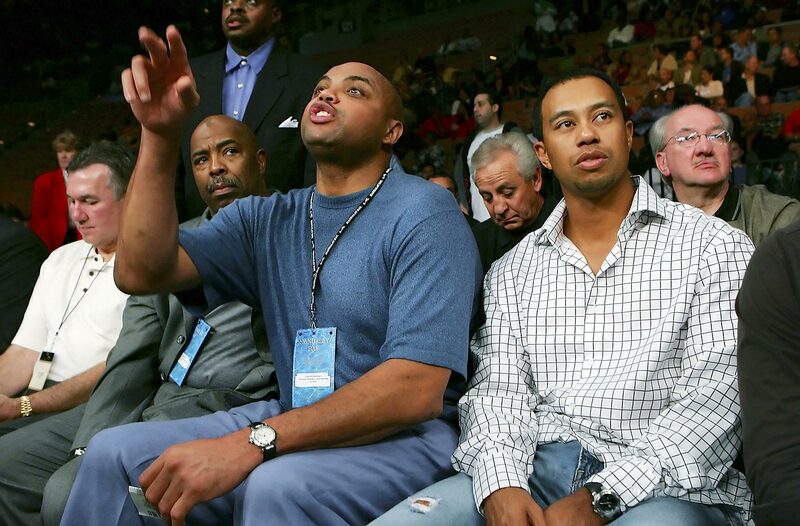 Tiger Woods and Charles Barkley at the Robert Guerrero-Orlando Salido fight. 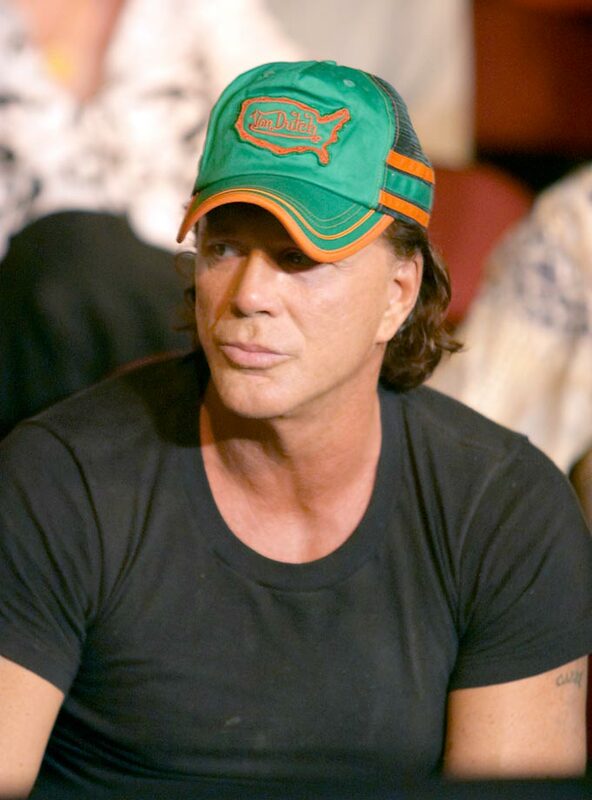 Micky Rourke visits the Warriors Boxing event at the new Seminole Hard Rock Casino in Hollywood, Fla. Wrestlers love boxing, too. 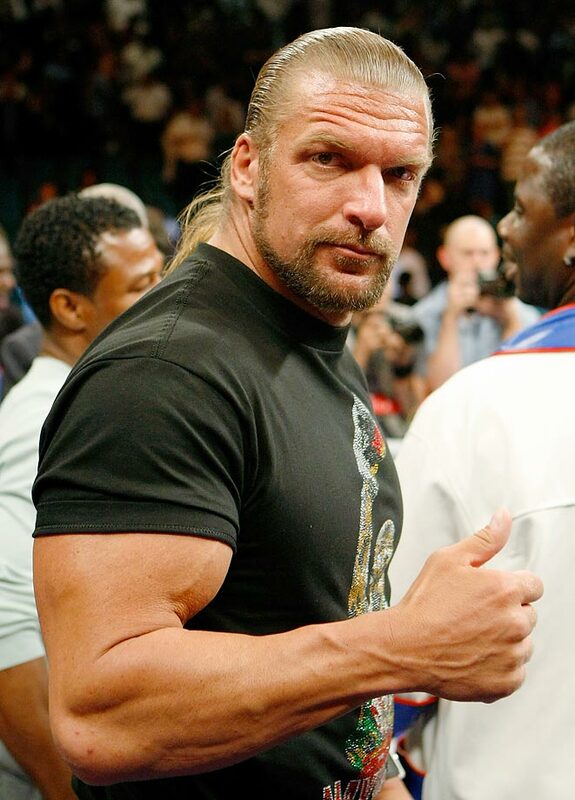 WWE star Triple-H supported Floyd Mayweather in his ring return against Juan Manuel Marquez. 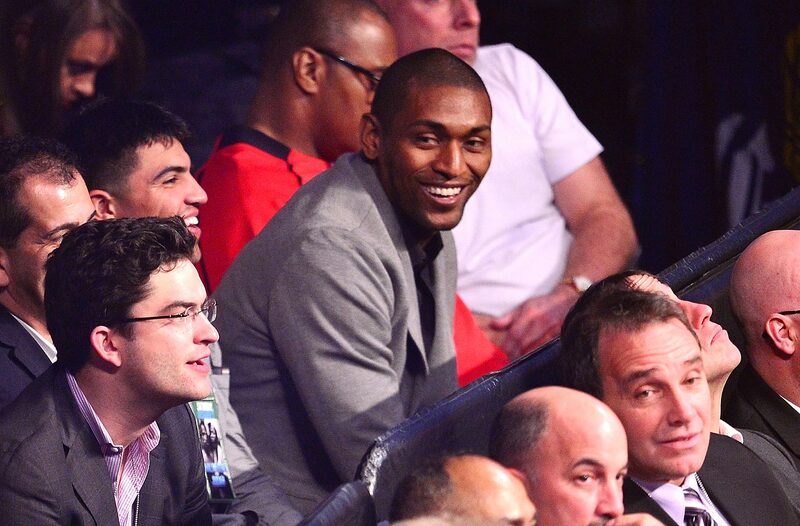 Metta World Peace attends the Paulie 'The Magic Man' Malignaggi vs Zab 'Super' Judah bout. 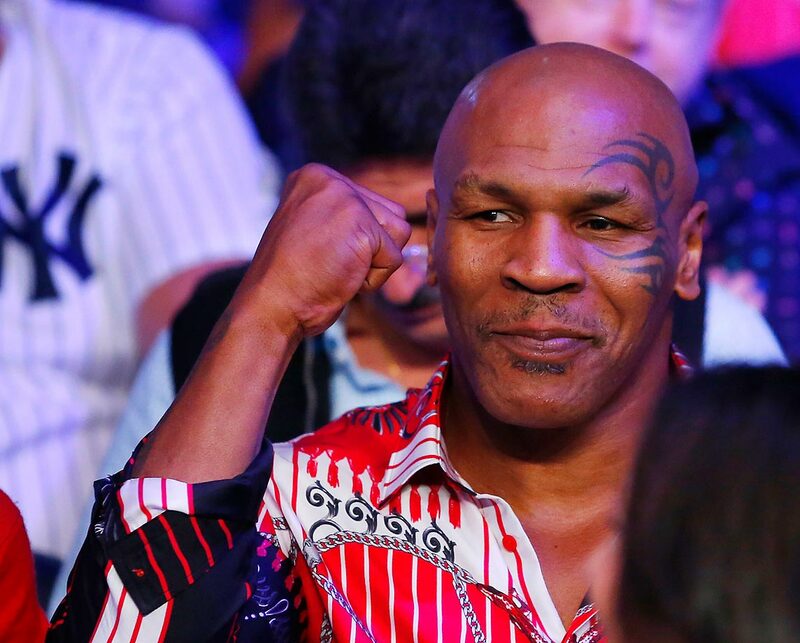 Mike Tyson attends the fight between Miguel Cotto and Sergio Martinez. 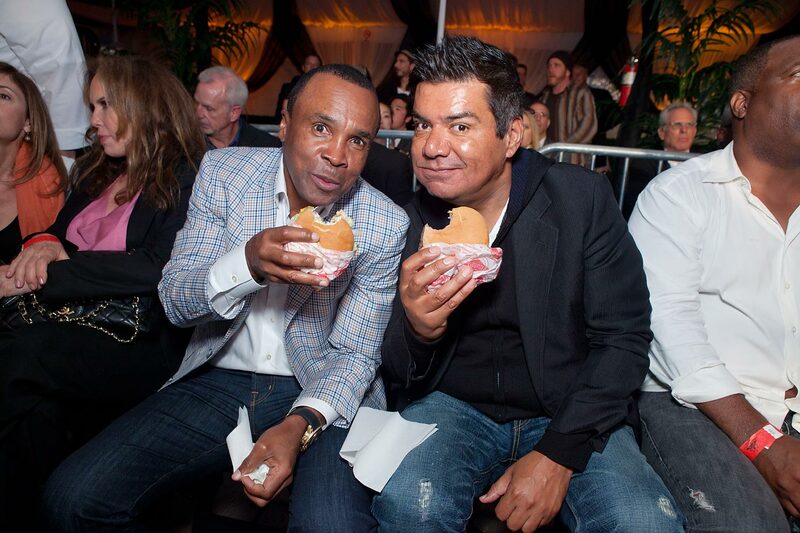 Sugar Ray Leonard and George Lopez enjoy a FatBurger at Sugar Ray Leonard's 3rd Annual Charity Boxing Night. 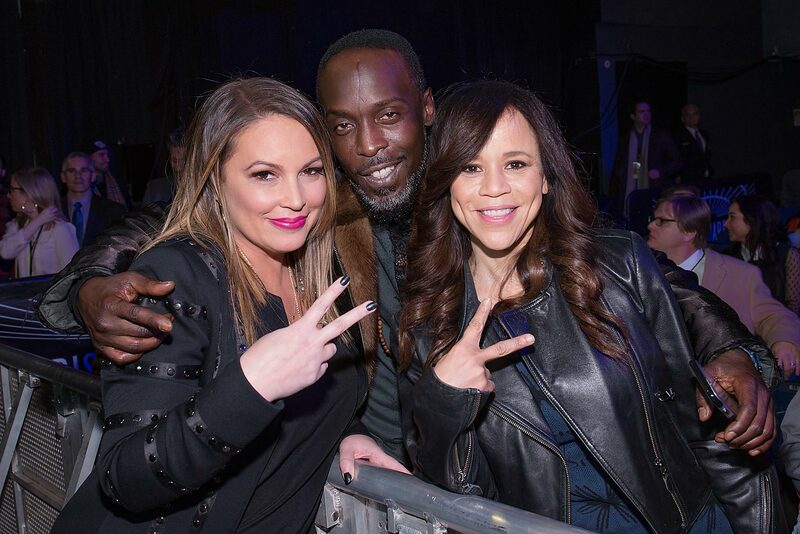 Angie Martinez, Michael K. Williams and Rosie Perez attend 2015 Throne Boxing at The Theater at Madison Square Garden. Hayden Panettiere at the bout between Vitali Klitschko of Ukraine and Albert Sosnowski of Poland at the Veltins Arena in Gelsenkirchen, Germany. 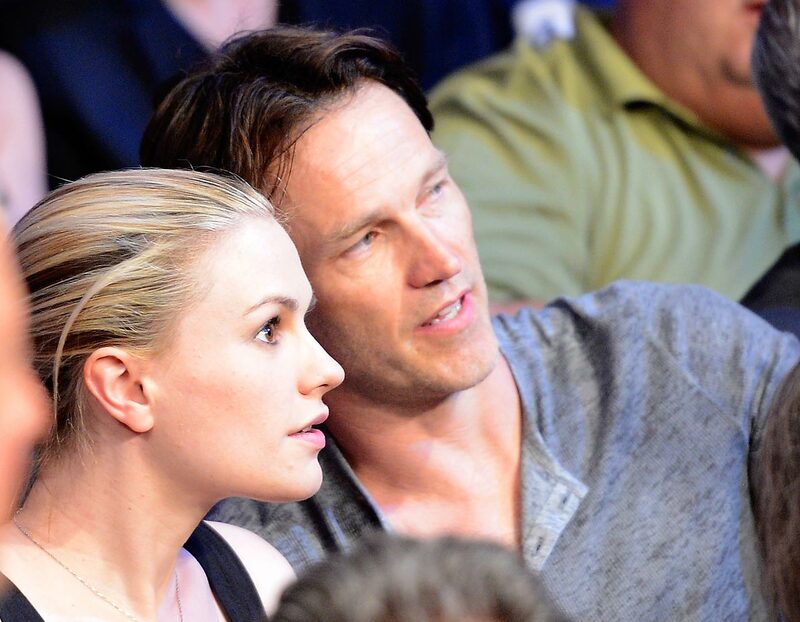 Anna Paquin and Stephen Moyer attend Manny Pacquiao v Timothy Bradley. 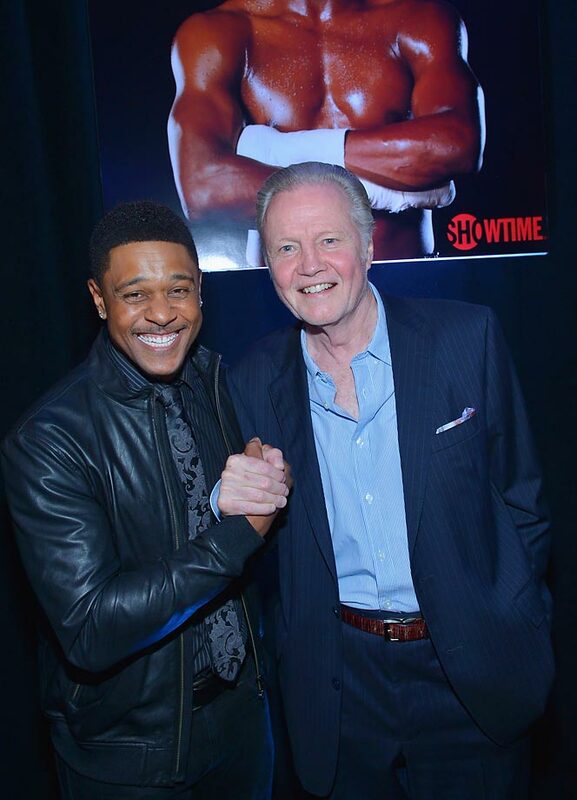 Actors Pooch Hall and Jon Voight attend the VIP pre-fight party at Floyd Mayweather vs. Canelo Alvarez. 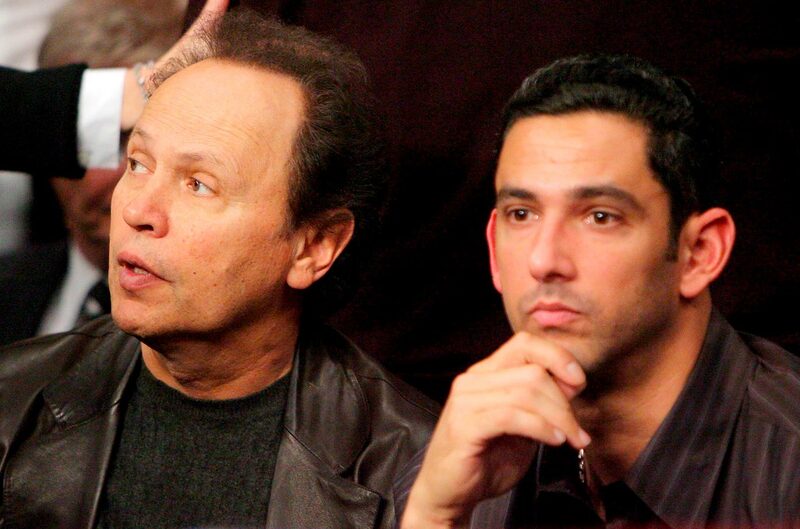 Billy Crystal and Jorge Posada sit together before the start of the fight between Miguel Cotto and 'Sugar' Shane Mosley. 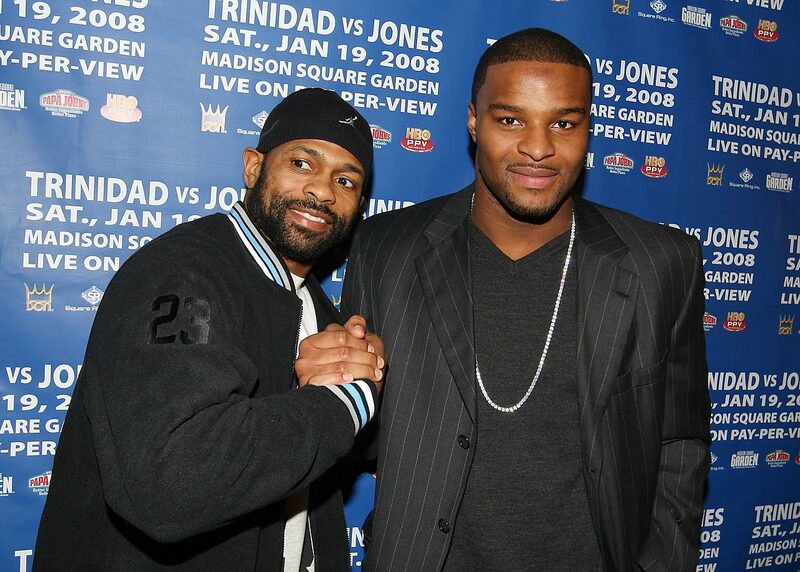 Roy Jones Jr. and New York Giant Osi Umenyiora helped kick off "Fight Week" in New York City in 2008. 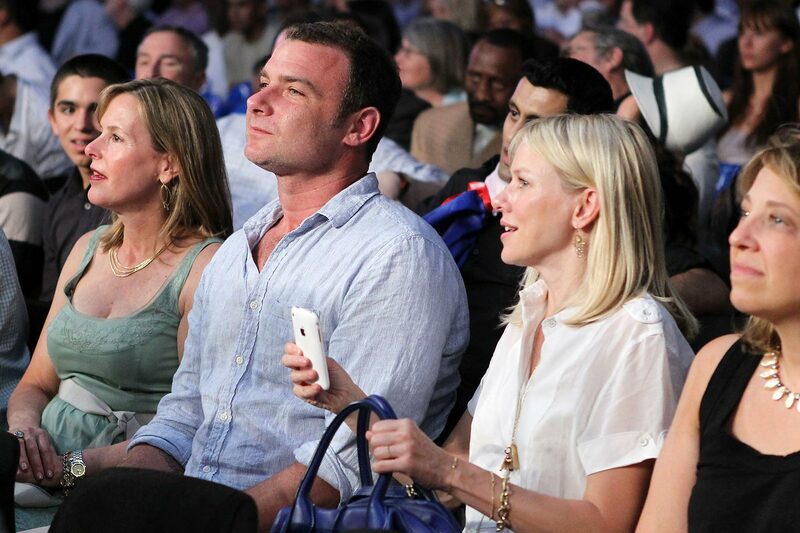 Liev Schreiber and actress Naomi Watts watch the bout between James Moore and Pawel Wolak. Actress Lizzy Caplan arrives at the MGM Grand Garden Arena for the Floyd Mayweather vs. Canelo Alvarez bout. 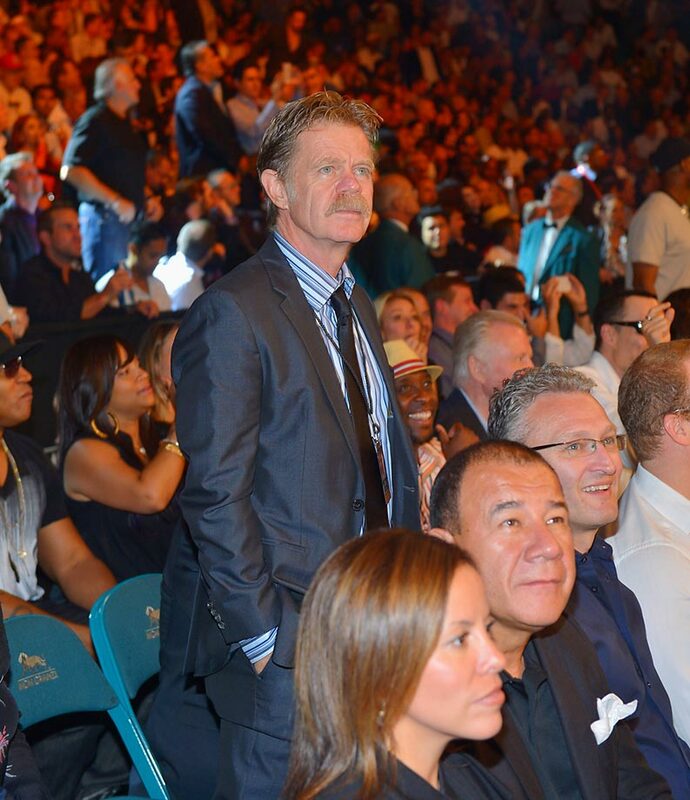 William H. Macy attends the Floyd Mayweather Jr. vs. Canelo Alvarez boxing match. The MGM Grand Garden Arena will be filled mostly by spectators from the Mayweather and Pacquiao camps, celebrities and anyone that can pay upwards of $10,000 for premium floor seats. The remaining tickets will be sold to MGM customers. "I don't worry about tickets," Mayweather said. "I worry about the guy in front of me, which is going to be Manny Pacquiao. 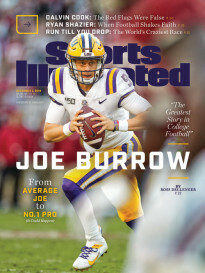 That's my whole focus." WBC and WBA welterweight champion Mayweather (47-0, 26 KOs), an 11-time world champion, and Pacquiao (57-5-2, 38 KOs) agreed to the fight in February after years of speculation over whether the fighters would ever meet.